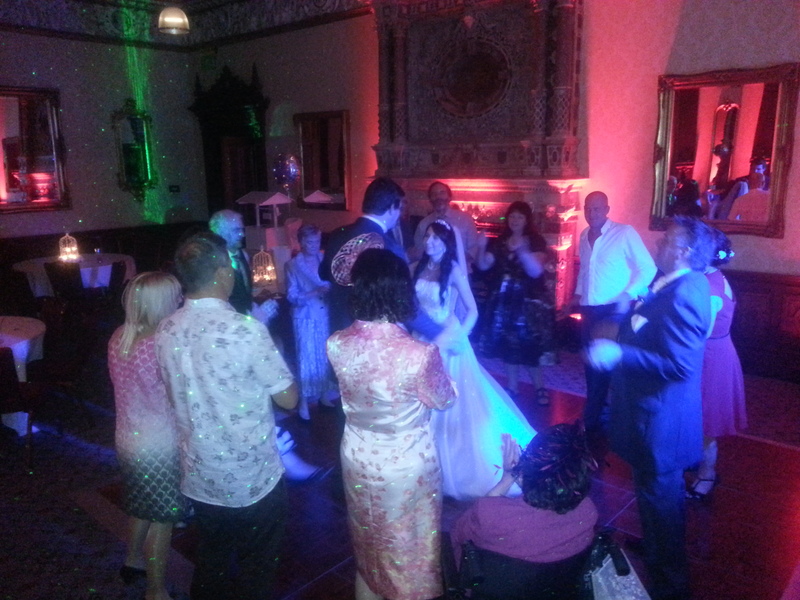 13th October ’13 – A pleasure to be hired for Mr & Mrs Cliffe’s wedding party at Crewe Hall. Crewe Hall is a magnificent grade 1 listed Jacobean mansion located near Crewe Green, east of Crewe, in Cheshire. 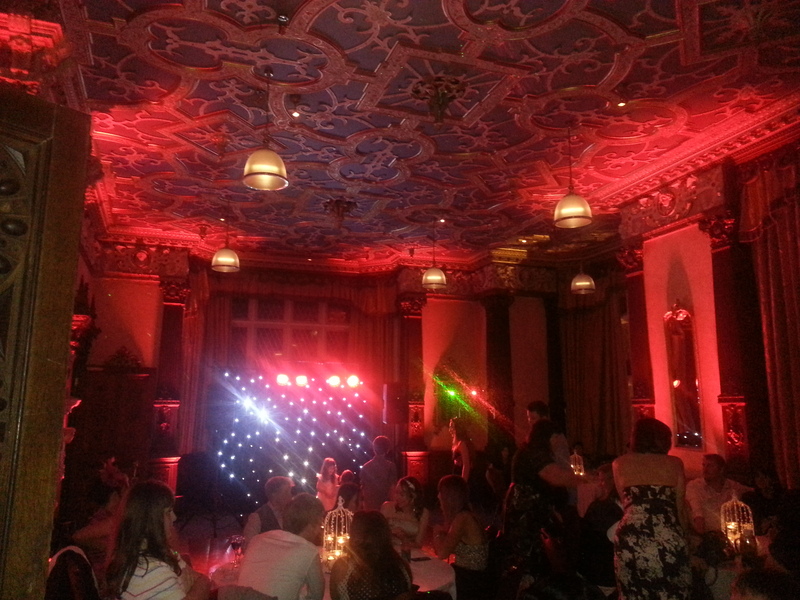 Fab setting for a wedding party! On this occasion, we were celebrating in the Drawing Room. Thomas, the groom, had booked myself as the DJ complete with 8 uplighters set around the room plus a star cloth backdrop. 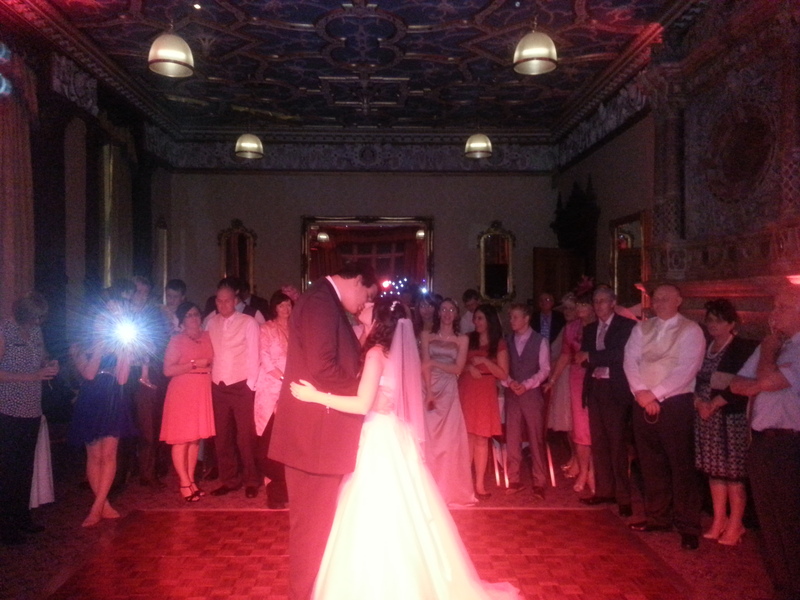 Their first dance was performed to ‘Come What May’ taken from the Moulin Rouge soundtrack. Thereafter, I had requests for everything from current chart hits to Motown & Frank Sinatra (& just about everything in between!). Towards the end, we had a 90’s dance set before a finale to ‘New York New York’. So, if you’re getting married at Crewe Hall & need an experienced wedding DJ for your evening reception, email your enquiry to andy@andybevents.co.uk As a guide, prices at Crewe Hall start from £325 covering up to 5 hours playing time. Any additional time is £30 per hour. Or, complete with up to 12 uplighters for £450, uplighters plus star cloth for £495.